President Muhammadu Buhari on Monday condemned as heinous and despicable, the killing of Saifura Khorsa an aid worker, kidnapped about six months ago at the Rann camp for internally displaced persons by Boko Haram terrorists. PREMIUM TIMES earlier published how the Red Cross confirmed the death of the aid worker. The terrorists have equally threatened to harm others, including the lone Dapchi school girl, Leah Sharibu still in their custody, President Buhari's spokesperson, Garba Shehu, said in a statement. Miss Sharibu is one of the over 100 schoolgirls kidnapped by the Boko Haram in Dapchi, Yobe State, earlier in the year. 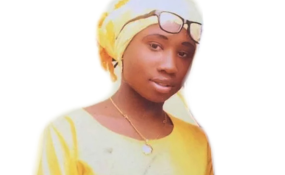 While all her other schoolmates who survived the kidnap have been released by the terrorists, Miss Sharibu was held back by the Boko Haram for allegedly refusing to denounce her Christian faith. Nigerians as well as local and international rights groups have appealed for Miss Sharibu's release and called on the federal government to do all possible to ensure her release. In its earlier statement, the Red Cross said two aide workers were still with the Boko Haram. At the time of their abduction, Saifura, as well as other colleagues Hauwa Mohammed Liman and Alice Loksha, a nurse working in a UNICEF-supported centre, were providing essential antenatal care to communities in Rann, whose population has more than doubled after an influx of people fleeing the violence, the agency said. "We urge those still holding our colleague Hauwa and Alice: release these women. Like Saifura, they are not part of the fight. They are a midwife and a nurse. They are daughters, a wife, and a mother - women with families that depend on them." In his reaction to the murder of the Red Cross staff, Mr Buhari said "the government of Nigeria strongly condemns this reprehensible and inhuman act. No religion permits the killing of the innocent. Saifura worked for the Red Cross, a humanitarian organization tirelessly working to bring succor to all the victims of violence irrespective of the sides of the conflict." The president sent out an appeal to Nigeria's international partners and about everyone with an influence on the terrorists to prevail on them "to stop these acts of extreme barbarism." Mr Buhari further assured that his administration will seize every given opportunity with both hands and use all means available to bring home all citizens held against their will by the Boko Haram terrorists. "On behalf of his family, the government and people of Nigeria, President Buhari extended condolences to the family of Saifura, the Red Red Cross and UNICEF over the loss of this selfless and hardworking mother," Mr Shehu said.